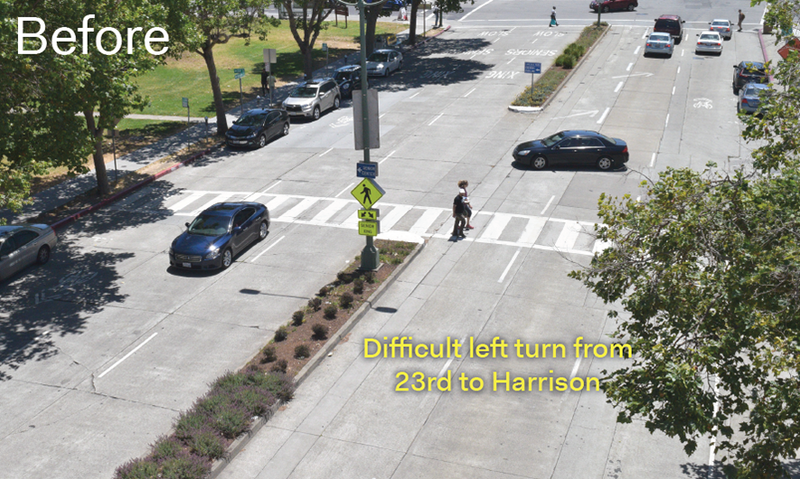 The improvements at Harrison and 23rd Streets were the first project in OakDOT’s new initiative to deliver traffic safety results more quickly and at lower costs than ever before. 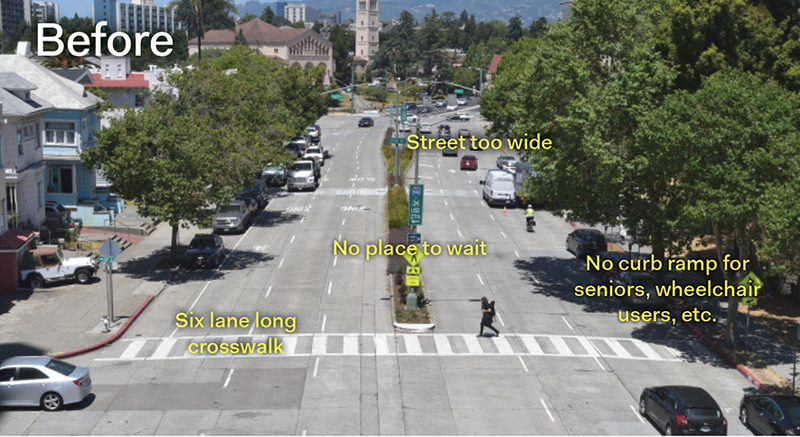 Harrison Street is a high injury corridor: where severe and fatal traffic crashes concentrate. This was partly due to the wide six-lane street that encouraged speeding, as well as a difficult left turn from 23rd on to Harrison that made pedestrians hard to see. The intersection is next to Oakland’s oldest and largest senior center, and the project was delivered in response to the death of 68-year-old Robert Bennett by a driver turning left from 23rd St onto Harrison St. 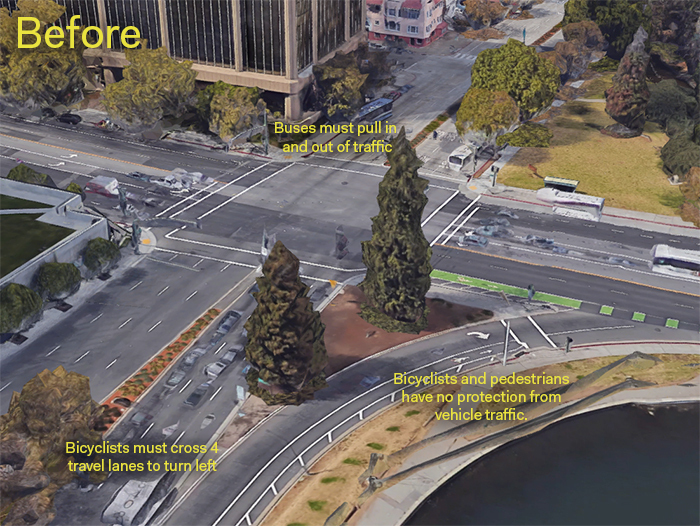 Converted one through-travel lane in each direction to a larger pedestrian median and bicycle lanes. This reduces vehicle speeds and makes crossing safer for pedestrians. 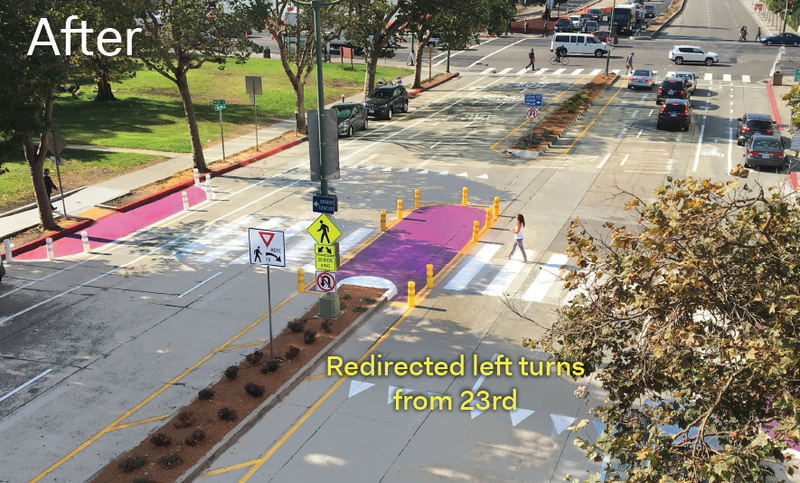 Install a protected intersection at Harrison and Grand, allowing bicyclists to turn left without crossing traffic. 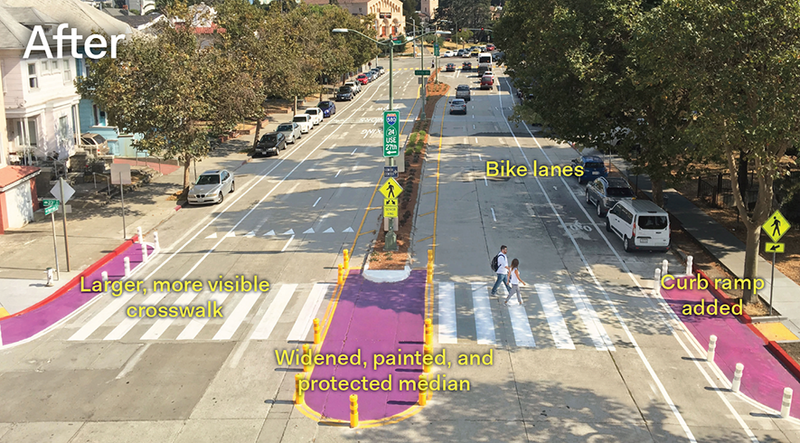 The project will make pedestrian improvements at 23rd and Harrison permanent while improving bike facilities. 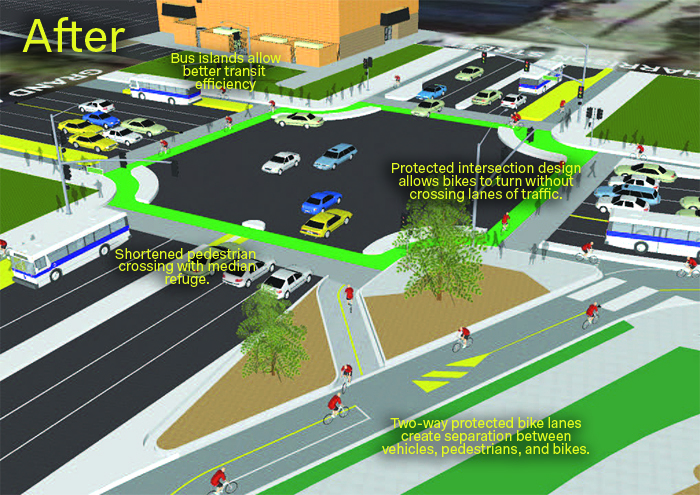 Rendering of proposed improvements at Harrison and Grand, including protected intersection for bikes. For more information on project materials, click here.